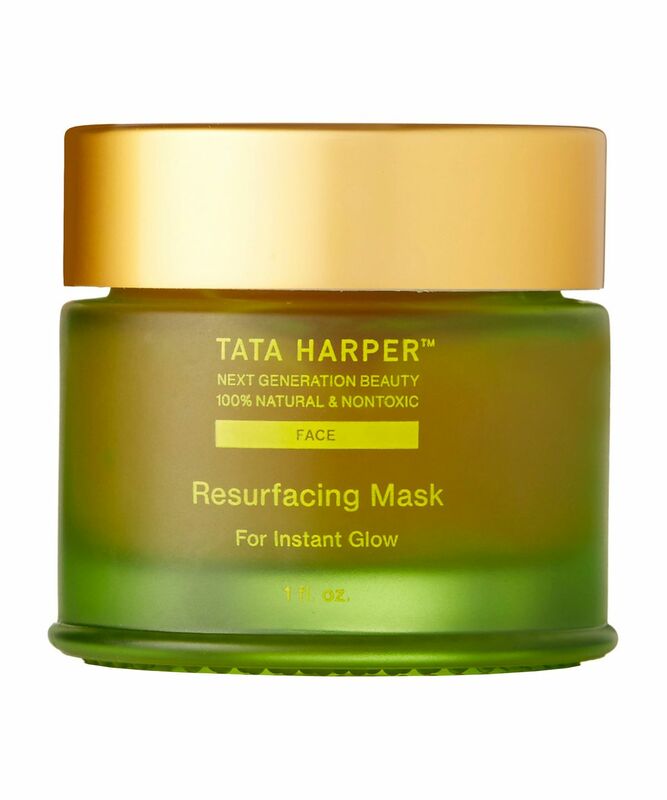 Tata Harper’s Resurfacing Mask has acquired more accolades than we’ve had hot dinners! Suitable for all skin types – except the especially sensitive – this refreshing and softening mask contains pink clay, to draw impurities from the skin to improve the appearance of enlarged pores without stripping your skin of its natural oils. 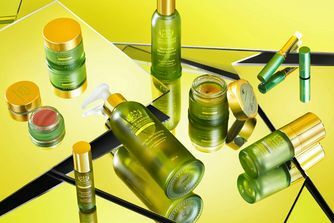 The undisputed 'Queen of Green', Tata's super-natural skin care has bewitched beauty editors, award panellists and countless Cult Beauty devotees. Tata Harper’s multi-award winning Resurfacing Mask is a cult favourite amongst the A-List and discerning beauty editors alike. Having been granted Allure’s much sought-after ‘Best of Beauty Award’ (along with countless other accolades), this easy-to-use and ultra-effective mask enhances skin’s radiance and improves its overall appearance by liberating the surface of dead, dull and damaged cells. It’s brilliant for improving the appearance of scars and uneven skin tone, by gently resurfacing skin so it’s quickly restored to its smooth, glowing and luminous best. Beet extract promotes hydration in the outer layers of skin to increase elasticity; white willow extract gently exfoliates, relieves redness and refreshes the skin’s appearance; aloe vera naturally stimulates healthy cell growth while repairing damaged tissue and witch hazel helps soothe inflammation whilst protecting against the harmful effects of environmental aggressors. For immediate glow, apply a thick layer of the Resurfacing Mask on a clean face. Leave the mask on for 20-30 minutes (10 minutes is recommended for sensitive skin). Rinse thoroughly with warm water. As a spot treatment, apply a small dab on blemish and leave overnight; reapply as necessary. One of the best masks I’ve tried. I have used it for over a month. My skin looks brighter and feels smoother. Although I have very sensitive, blemish-prone skin, I didn’t get any pimples or skin irritations. I would highly recommend it. This is Amazing! Made my skin glow, and also made it feel great afterwards too. I put it on with the mask and left it for 15 minutes, then washed it off then went to bed. One of the best masks I have tried so far! Skin looks refined, hydrated and glowy after use, and I especially appreciate that its 100% natural. Usually, I never leave a comment on a product but this one got me almost mad. I bought the whole glow range samples and it was still very expensive. If I should write only about this mask I must say it was a horrible experience. I left it on for 30 minutes and the whole time I couldn't wait to take it off. I don't have sensitive skin and I never have problems trying out new products. This one left my skin so dry and tense I never wanna have it on my skin again. I really don’t care for this mask at all. It does so little to my skin, and I’m also not a fan of rose scents so can’t even get the sensory pleasure. If it’s meant to exfoliate then it doesn’t really do that, if it’s meant to plump or hydrate it doesn’t really do that either. Gives a bit of a glow, but for this kind of mask (I think it’s meant to be the party-prep, quick fix style of mask, for which I’d turn to glamglow) and at this price I want my skin to feel smooth as well as look a little glowy. Still have a half-full jar of it, not really keen to finish it. Not Tata’s best. So I got a sample of this mask with my order and I was in two minds about using it. I'd read all the reviews and glowing praise and keen as I was to try it, I'm not keen at the eye-watering cost of the Tata Harper range. However, curiosity won me over and so did this mask. It is effective, even in the single dose I used. Woke up the next morning and my skin had a definite improvement in texture. I wish I could get my hands on a full-size bottle, I'd be very interested to see what benefits would come with regular use. Alas the cost puts me off. I bought the mask set and this is my favorite out of the 3. I guess it does make my skin feel more radiant, but given the price of it, I just don't feel it worth the hype. For the money, May Lindstrom problem solver and honey mud are much better masks. I love all the Tata Harper masks and use this one when my skin is looking dull and sluggish. I can see the difference after using it. My skin looks so much clearer, bright and radiant. It also tightens up my pores. Love it! If you get over how expensive this is, it's a phenomenal product ! My skin is always left bright smooth and happy. There are a lot of exfoliating treatments/masks out there but this is a phenomenal product, worth to give it a shot. I wish it was less expensive since the pot is small, but at least you get to use it before it goes bad ! I am in the beauty industry and I have tried many, really many products but this is far the best mask ever! After using it my skin is soft and smooth like a baby's bottom. Pores are smaller and skin feels so tight and young! I strongly recommend it, I agree that this mask is not cheap but trust me, it is worth every penny. Really refines skin, especially when followed by an application of the moisturising mask from the same line. I apply both mid week as a fast facial that keeps my skin soft and glowing, plus plump and hydrated. It's an expensive mask but the quantity needed for each application is small, so it will last you for quite a time! It really makes you glow. Delivers a refined and radiant skin, I use this between salon facials. A little goes a long way and it is easy to remove. This gives me the most natural and beautiful glow from within look. Try mixing it with the regenerating cleanser if you feel like the mask is too drying. (As recommended by Tata). I love to use this mask in the morning before an event. It makes my skin look instantly more radiant and my make up just looks 10x better after using it. A great quick fix for when you haven't had your full 8 hours sleep and skin looks a little dull. This mask is really good, I can feel my skin cleaner after using it. Got half size in a goody bag, will use every drop, but will not purchase for myself as it seems too expensive for the mls you get. I got a very generous amount of this completely free in the goody bag but I just can't wrap my head around who would pay for this! I don't keep buying masks excessively, but I have already tried a couple of masks that are way more "resurfacing" and effective than this. I suppose the ingredients list call out to someone since it's beautiful (and I'm that someone who cares about that list), but I just can't see why you would buy this. It feels like it does almost nothing. I will attempt to use the rest of what I have as a spot treatment, maybe I will see some results overnight. This is another favourite Tata product. It is a gentle exfoliator, effective, and makes the skin look fresh and hydrated. I recommend it often. It is spendy, but well worth it to me. This is certain one of the best masks made by this brand. It was ok to use. But it's too expensive for what it is. 30ml....hum...I would say 10 uses at most... I'd rather splurge on May Lindstrom Honey Mud cleansing silk. I had a little jar of this mask in my Tata Harper Daily Essentials Kit, and I enjoyed it a lot. The texture is different from others, it sinks not completely into the skin, and feels so refreshing, soft and gives a beautiful glow. I decided that I'd like to have a full size. When I ordered this mask, I didn't look at the size. If I had, I wouldn't've bought it. When the package arrived, I thought it was a sample at first. 30ml for 47 Pounds is ridiculously expensive. I like to splurge like the next girl, but this is too much. Also, instruction says to apply a thick layer - well, if I did just that, I'd get a maximum of two applications out of this. It's a great product, but the price really can't be justified for me, no matter the quality of the ingredients. The best mask I've ever tried!! I've just a little hormonal breakout and this has helped me a lot. Also, I can see a big difference with my skin's texture. Looks more regenerated, softer, healthier and my pores look smaller. Can't be more happy! !